We need some new words to describe words. English already has several well known -onym words (from the Greek onyma meaning ‘name’), such as synonym (same meaning), antonym (opposite meaning), and homonym (same sound). Less well known is heteronym (same spelling, but different sound, e.g., sow meaning ‘pig’ and sow meaning ”planting seeds’). Heteronyms are also called homographs. Then there’s pseudonym, (false name), eponym (named for a person, e.g., sandwich after Lord Sandwich), and acronym (formed from the initial letters or syllables of a group of words, e.g., snafu meaning “Situation Normal; All Fouled Up” or laser meaning “Light Amplification Stimulated Emissions Radiation”). 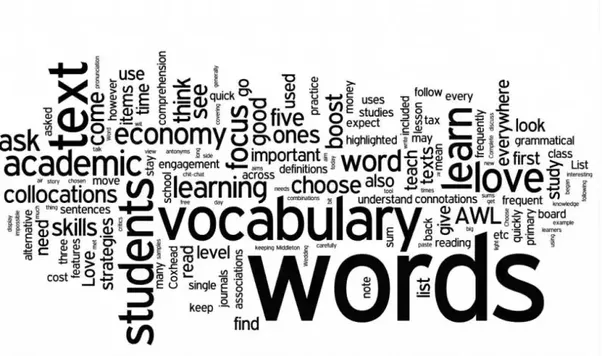 It was that word acronym that started me thinking about the need for more “word words.” The word acronym is sometimes used for words formed from the first two letters of a group of words. Soho is the area of Manhattan SOuth of HOuston Street. But is Soho an acronym? Yes, if we accept a definition that includes the initial letters. But can’t we be more precise? Let’s leave acronym for a word formed from the first letter of several words. Then, we’ll need a word for a word formed from the first two letters of words. How about bicronym? That captures the initial-letter sense of acronym but uses the combining form bi- signifying ‘two’ (from the Latin bi- meaning ‘twice’ or ‘having two’). What then should we do with Tribeca, the area of Manhattan that is the TRIangle BElow CAnal Street? Bicronym won’t do, because we are using the first three letters of “triangle.” Tricronym won’t do either, because we are using only the first two letters from below and Canal. Perhaps the answer is polycronym, still capturing the initial-letter sense of acronym, but using the combining form poly- signifying many (from the Greek polus meaning ‘much’). These words, bicronym and polycronym, suggest the need for still another word. The words bicronym and polycronym are formed by breaking up the combining form acro- (from the Greek acros meaning ‘highest’) into a- and cro- and combining bi- or poly- with cro-. A word thus formed by breaking up an existing combining form, prefix, root, or suffix should also have a name. It could be fractonym, using the coined combining form fracto- (from the Latin fractus, the past participle of frangire meaning ‘to break’). Fractonyms existed in English before we had a word for them. A fairly well known example is prequel the word that means an episode or a movie that portrays events occurring before the events in the original episode or movie. Prequel takes the word sequel (Latin sequela meaning ‘what follows’), breaks it into se- and -quel, and then combines -quel with the prefix pre-. Another current example of a fractonym is threepeat, used to describe the feat of a team or individual who wins an annual championship three years in a row. The Chicago Bulls were widely reported to have achieved a threepeat in professional basketball. Repeat was broken into re- and -peat and -peat was combined with “three.” Voila, another fractonym! Then we could have retronym, meaning a word formed by reversing the spelling of another word. Lord Kelvin is credited with coining mho by reversing the spelling of ohm. An ohm is a unit of electrical resistance (named for the German physicist, Georg Simon Ohm), and a mho is a unit of conductivity of a body whose resistance is one ohm. We could also call mho a backword, but we are better off staying with the family of -onyms. Retronym derives from the combining form retro- (from the Latin retro meaning ‘backward’). A related word is needed for a word with two, opposite meanings. Sanction means ‘to forbid’ and also ‘to permit.’ Moot means ‘a debate,’ and a “moot point” originally meant “a debatable point” and then also came to mean “a point that was not debatable” or “not worth debating.” Such a perplexing word might be called a contronym, using the prefix contra- (from the Latin contra meaning ‘against’), or possibly a contradictonym. We also need a word for a word that illustrates its own meaning. Oxymoron means a phrase that contrasts opposites for a literary effect, e.g., “a deafening silence.” Oxymoron derives from the Greek oxymoros meaning ‘pointedly foolish’, which itself derives from oxy-, a combining form meaning ‘sharp’ (from the Greek oxus meaning ‘sharp’) and moron (from the Greek moros meaning ‘dull’). Oxymoron is an oxymoron. But what should we call such an unusual word? One possibility is etymonym (pronounced eh-TYM-o-nym), using the coined combining form etymo- (from the Greek etymon meaning ‘the true meaning of a word,’ which derives from etymos meaning ‘true’ or ‘real’). This is not as rare a category as you might think. Another etymonym is noun (noun is a noun). Prefix almost qualifies; at least it illustrates a prefix. Then, there should be a word for a word that has an etymology that is no longer true. Atom literally means a hypothetical body that is so small that it is incapable of being further divided. Atom derives from the combining form a- (from the Greek a meaning ‘not’ and the Greek tomos, meaning ‘cut’). Of course, in the age of neutrons, protons, electrons, and even quarks, we now know that an atom is not a particle that cannot be divided into smaller particles. So we need a word for outdated etymologies. Possibly pseudoetymonym, using the combining forms pseudo- and etymo-. Another possibility is gerontoetymonym, (pronounced ger-ON-to-eh-TYM-o-nym) using the combining forms geronto- meaning ‘old’ (from the Greek gerontos meaning ‘old man’) and etymo-. Perhaps better to stay with pseudoetymonym and save the prefix geronto- to form gerontonym, meaning “an old word,” especially one whose original meaning has been altered, but is not necessarily now false. The category of eponyms might be subdivided to add literatonym (pronounced lit-er-AH-to-nym), meaning “a word derived from the name of a person or place in literature” and mythonym, meaning a literatonym derived from mythology (Herculean from Hercules, and, less obviously, martial from Mars). A well known literatonym is serendipity, often used imprecisely to mean “anything found by good luck,” but precisely meaning “something good that is unexpectedly found while looking for something else.” Serendipity was coined by Horace Walpole from the fairy tale, “The Three Princes of Serendip” (the ancient name for Ceylon), who often set sail for one destination and found something even better, by fortunate accident. What should be call these new words? Neologism is sometimes used, but it means not only a new word but also the use of new words. Besides, better to stay with the -onym ending and call such words neonyms, using the combining form “neo-” (from the Greek neos meaning ‘new’).